I was browsing the aisle of my least hated computer hardware retailer when I saw it: Sleek. Black. Chrome. It was…an HP Envy printer. Did my eyes deceive me? They did not. As I walked closer, I saw that the Envy signage on the boxes below the printer matched that on the printer itself. It was true. HP had developed an Envy printer and put it out to the public. That’s the exact moment I knew the Envy sub-brand had jumped the shark. Once upon a time there lived a powerful king known as Hewlett-Packard. He was successful, but he had a problem. Everything he produced was generic and dull – his every action seemed plodding and mundane. People praised him for his practically, but he was boring. His brilliance faded as his opponents gained popularity. The king consulted his advisors and devised a plan. He would court a stylish, intelligent princess who could reinvigorate the king’s passion. One of his peers, Baron Dell, already had done the same. So the king went a-courting and soon married the popular and passionate Princess Voodoo. For a time, life was good. Their partnership produced style and quality. Along came the Voodoo Envy, one of the first PC competitors to the MacBook Air, and a line of awesome gaming desktops sold under the Blackbird and Firebird names. For all appearances, King Hewlett-Packard had renewed his interest in excellence. But before long, the king’s cynicism began to chip away at Princess Voodoo’s luster. She agreed to cast aside her name after several years of marriage, and the fruits of her labor became increasingly generic. Although she still enjoyed quality, the princess’s love for flair faded, and she acquiesced to the king’s concerns about cost and mass appeal. And so, eventually, Voodoo’s light was snuffed out. Most people entirely forgot her. Rumor says she still wanders the halls of the king’s castle, trying to inspire the flame of passion here or there, but her visits are more infrequent with each passing year. Absurd as it may sound, the basics of this fairy tale mesh with reality. HP bought Voodoo with the intention of using its design brilliance to re-invigorate the company’s premium products. Then HP slowly dismantled everything that made Voodoo unique. HP completely stopped including Voodoo as part of its product names in 2009 and instead began to refer to its Envy line as having “Voodoo DNA,” a term the company previously had used to describe HP gaming desktops. HP even dropped that nod sometime in 2010 or 2011. I can no longer find any reference to Voodoo on HP’s website. The skeptics among you might now be thinking, Boy, that seems like a lot of huff and puff over a printer. Who cares? The issue is not a printer. The name has lost its luster all over the HP line. Recently we received two products with Envy branding that appear completely unrelated to the sub-brand’s premium focus: the Envy 6 laptop and the Envy 23 all-in-one. 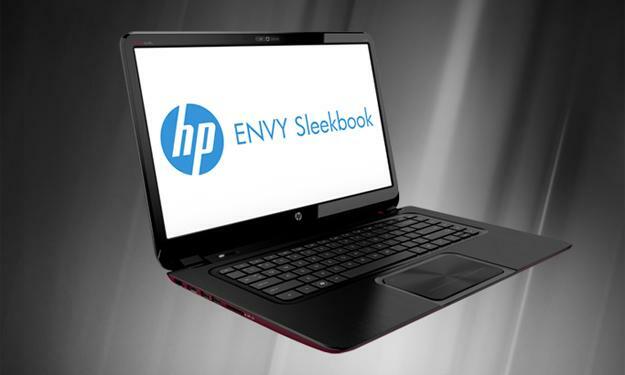 The Envy 6 is a cheap, thin-and-light that, in both specifications and build quality, is nearly identical to every Ultrabook available for under a grand. HP tries to make the Envy 6 laptop stand out with brushed aluminum. Just one problem: Virtually everyone else uses that material today. It’s no longer unique. The HP Envy 23 is even more damaging to HP’s reputation. The all-in-one is identical to HP’s Omni and Touchsmart products. The Envy 23 uses the exact same design language. Sure, you can equip the Envy 23 with good hardware, but it’s no longer a product worthy of its own brand. It’s just a trim level. And then we have the Envy printer. It is indeed slim and compact. But it’s a printer. Printers are a necessary appliance that most of us own, but few of us care about. Has anyone felt “Envy” over a consumer desktop printer lately? I doubt it. My personal disappointment with the newest Envy products is substantial. The problem is not that they’re bad products. The problem is that they’re not Envy. They don’t live up to the high standards their more expensive brethren set. My review of the HP Envy 15 (2012) concluded that “the HP Envy 15 finally provides Windows users with a product that can go toe-to-toe with what Apple offers.” If I were given the choice between that Envy 15 and a MacBook Pro 15-inch, and I could have either for free, I would pick the Envy 15. In fact, I would pick the Envy 15 over any laptop I’ve tested up to this point. Unfortunately, Envy’s focus on quality and design is uncommon in the PC space. 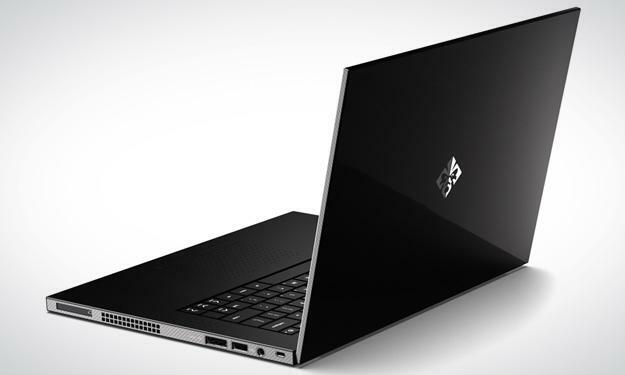 Few companies are willing to push the limits of PC laptop design. Asus, Dell and Lenovo consistently attempt to craft premium products, but none of them have a sub-brand dedicated only to cutting-edge products. HP hasn’t been consistently successful with Envy, but the company was moving in the right direction. Its products were consistently expensive, and that was a good thing. The world’s largest computer manufacturer appeared to be positioning itself to deliver hardware that was second to none. This would have given the PC industry a powerful and influential leader that could promote strong design, something the industry desperately needs. Instead, HP is letting Envy succumb to cynicism and mediocrity. No one else seems willing and able to pick up the standard of quality that HP is casting aside. But that’s unlikely to happen. Corporations reach decisions because the people within them support those decisions. A change of heart at HP is unlikely unless the people working there change. The people did change when Voodoo’s founder left HP back in 2010 – and apparently not for the better. Although someone rattling around in HP might have the smarts to save Envy, more likely that name will fade into HP’s common nomenclature, transformed from a strong sub-brand to a product line similar to Pavilion or TouchSmart. Envy’s relevance will diminish, and eventually, during some product shake-up years down the road, the axe will fall. Goodbye, Envy. You put on a good show.